Rosacea is a chronic inflammatory blood vessel and capillary disorder that most commonly affects fair-skinned female adults over the age of 30. It usually appears on the face giving the skin of the forehead, nose, cheeks or chin a reddish flushed looking appearance (facial erythema), although it can sometimes also occur on the neck, chest, scalp and ears. The first signs of rosacea appear as frequent skin flushing, such as after eating spicy foods, or blushing, such as after embarrassment, that lasts longer than normal. In some people, this may then progress to the formation of bumps, pimples and visible blood vessels under the surface of the skin. 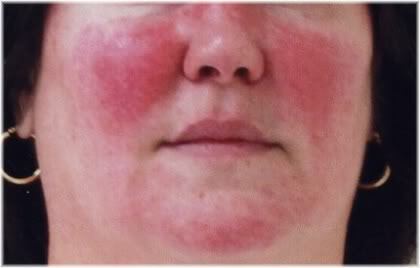 Rosacea causes an unnatural redness to appear on the face that progressively gets worse over time. A typical rosacea sufferer can expect periods of flushing which causes the skin to look red or inflamed (flare-ups), followed by periods where the skin returns to its normal color (remission). Although, as rosacea progresses, affected areas may take on a persistently red appearance especially on the tip of the nose and the upper cheek regions. The effects of rosacea can vary considerably depending on a person’s age, their lifestyle, their dietary habits, the type of cosmetic products they use, whether they have an oily, dry, acne or sensitive skin type and their overall genetic susceptibility to this dermatological condition. Some of the signs and symptoms that may occur are listed below. Frequent blushing may indicate that you are susceptible to developing rosacea. One of the most common and earliest indicators of rosacea is flushing or blushing of the skin on the nose or cheeks that may also result in a hot or warm sensation. These effects are, however, are temporary, and so will usually only last for a few minutes before the skin returns back to its natural color. 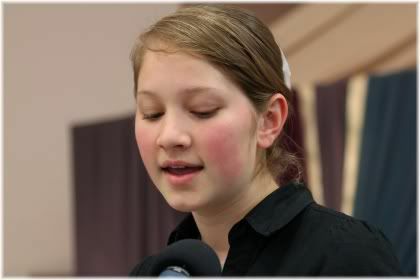 During the latter stages of the disorder the skin begins to look persistently red. Although in most people flushing will only temporarily discolor the skin, in the more advanced stages of this disorder, flushed skin may become permanently discolored taking on a persistent red appearance that resembles inflamed or sunburned skin. This occurs due to the dilation of blood vessels in the dermal (dermis) layer. Rosacea can cause irregularities on the surface of the skin, but care must be taken not to mistake this with acne. Surface irregularities occur when there is a deviation, or change, in the regularity of the skin’s uppermost epidermal layer (epidermis). This can include spots, pimples, papules and pustules that resemble the signs of acne and so is sometimes called acne rosacea. In order to avoid misdiagnosis, it’s important to see a dermatologist to determine whether these surface irregularities are in fact an indication of inflammatory rosacea or acne, as this will influence the type of treatment that a person requires. For self diagnosis, look for the presence or absence of blackheads, as blackheads will appear with acne skin but not with rosacea skin. 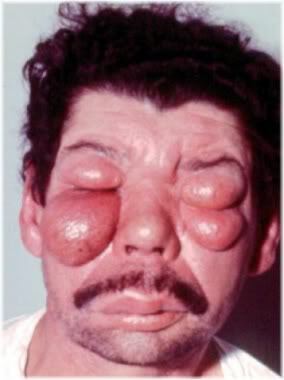 This man is suffering from rhinophyma which results in the skin of the nose thickening. 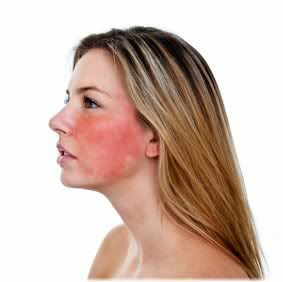 In the later stages of rosacea, a sufferer may start to notice that the skin on their face is becoming thicker. This usually occurs on the nose (rhinophyma), although it can also occur on the cheeks. Affected areas can appear enlarged, deformed and may even take on the appearance of a growth on the face. Skin thickening is most common in middle-aged men, and can become progressively worse as a person ages to the point where it requires surgical intervention to treat. Elevating the head of your bed can greatly reduce the risk of fluid accumulating in your face. When excess fluid accumulates in the face and cannot be adequately dealt with by the lymphatic system, swelling of the face may occur (facial edema). Typically, this will result in localized regions of the face appearing abnormal in size such as the cheeks or underneath the eyes. If this fluid build-up is not removed, it can eventually reach a point where it starts to cause pressure on the skin and the underlying tissue causing a person discomfort, pain and interference with the ability to form normal facial expressions. Vascular rosacea showing visible blood vessels underneath the skin. 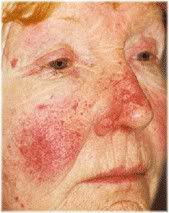 Vascular rosacea appears in more advanced stages of this skin disorder, and so is usually only found in older adults. It is characterized by the presence of small blood vessels (i.e., spider veins) that are visible underneath the surface of the skin due to them being dilated and inflamed (telangiectasia). Typically, this is most likely to occur on the nose and cheeks and will also be associated with persistent redness of the surrounding area. Some of the other effects that rosacea can cause on the face include burning, stinging, itching, raised red patches (plaques) and tight or dry skin. It is important to note, however, that redness of the face, (i.e., facial erythema) can be caused by many different things, so it’s important to rule them out before you decide that you have rosacea. • Not cleansing your face properly. If you have a family history of rosacea, such as an affected mother or father, then it may be more likely that you have rosacea if you are experiencing any of the previously mentioned symptoms. Other things besides rosacea can cause your skin to turn red, such as a niacin flush as shown in the picture above, so it’s important to rule these out before jumping to any firm conclusion. In such cases, it is a good idea to speak with a dermatologist to get an accurate diagnosis of what may be causing your symptoms, and advice on any changes that you can make to your lifestyle or dietary habits to help alleviate those symptoms. Unfortunately, there is currently no known cure for rosacea, although there are preventative and palliative measures that can be taken to minimize and control the symptoms that a person experiences. Rosacea is a progressive condition. This means that if it is left untreated, without any form of specialist or medical intervention, a person will usually start at stage one and progress up to stage four with their symptoms getting worse at each stage. 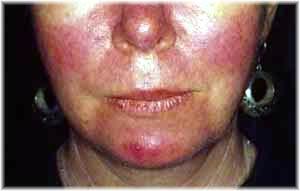 As a progressive condition rosacea gets worse if left untreated. If a person is able to successfully treat or manage their rosacea, it may be possible for them to arrest their rosacea in a particular stage thereby preventing it from getting any worse or slowing down the rate at which it progresses. Generally, this is most likely to occur in younger adults who are able to treat their symptoms early and have not yet reached the advanced stages of rosacea. Stage one is characterized by skin that looks red on occasion, but for most of the time it retains its normal color. 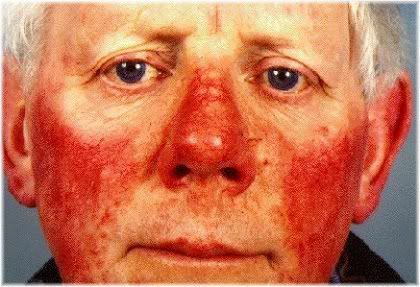 Stage one, also known as erythematotelangiectatic rosacea or pre-rosacea, is characterized by skin flushes which make the face look red. This is sometimes accompanied by finely visible blood vessels under the surface of the skin. 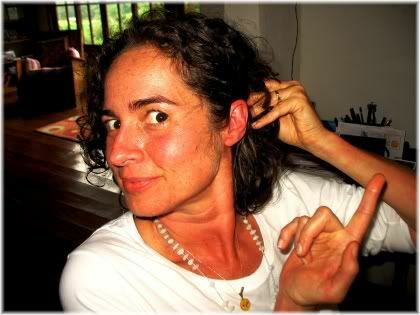 During this stage, a sufferer may notice that at times their face becomes unusually red, such as after having a hot shower or exercising, but then later returns back to its original color. This flushing may also result in a burning or stinging sensation on the face, although this is relatively uncommon in stage one. Some things which may cause stage one rosacea are drinking alcohol, taking very hot showers, taking hot baths, saunas, cold weather, stress or doing high intensity aerobic exercise. There is some disagreement, however, whether or not these things actually cause rosacea or just make it worse. During stage two the face persistently appears red and may also develop surface irregularities. In stage two, also known as mild or papulopustular rosacea, blood vessels underneath the skin become more visible and permanent causing the skin to stay red or flushed for the majority of the time. You may also develop small bumps and pimples underneath the skin, although these tend not to be permanent and will come and go similar to how acne outbreaks can come and go. As a result of this, stage two rosacea is sometimes misdiagnosed as acne. Note: Most people who have rosacea will stay in this stage. During stage three the sufferer experiences very red and inflamed skin that can be painful to touch. In stage three, also known as moderate or phymatous rosacea, the skin takes on a very reddish and flushed looking appearance that can also be painful to the touch. By now, the blood vessels in the skin have lost their elasticity and this can cause the skin to look bruised due to the blood pooling underneath it. The blood vessels of the face may also become damaged at this stage, which can then make it difficult for the lymph system to carry away toxins. The result of this is a thickening of the skin, which is noticeable as an enlargement of some area of the face (usually the nose or cheeks). At stage four there is a very real risk of losing one’s sight. Stage four, also known as severe or ocular rosacea, is one of the more serious types of rosacea that a person can suffer from. 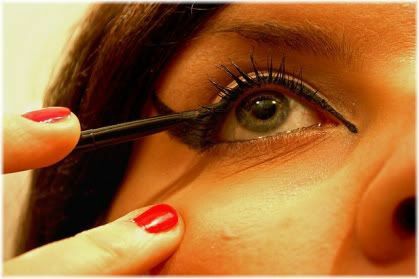 It affects the eyes and eye area causing irritation, itching or burning sensations that may lead to bloodshot eyes and possibly also inflammation of the inner eyelid (blepharitis) and conjunctivitis. If such symptoms are allowed to progress untreated, they may start to adversely affect a person’s ability to see, such as by causing blurred vision. In severe cases, a person may lose their eyesight altogether as a result of developing styes (inflammation of sebaceous glands in eyelid). 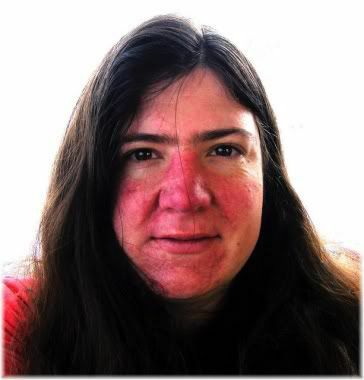 Members of the medical community are not in complete agreement as to what causes rosacea, although they do know that some people are genetically predisposed to developing it, such as people of Celtic or Scandinavian descent, and that you are more likely to get it if you have a family history of rosacea. 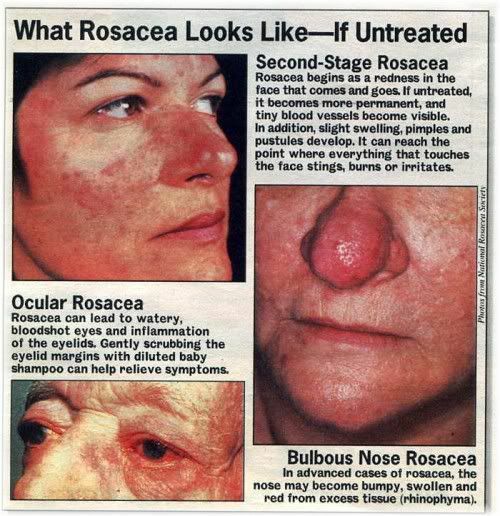 Some of the other possible reasons that have been suggested as to why people get rosacea are listed below. Virtually everyone hosts the demodex mite (Demodex folliculorum) on their skin, and in most people, these mites exist without causing any problems. There is no firm scientific evidence to show that the demodex mite causes rosacea, although circumstantial evidence suggests that it may play a role. 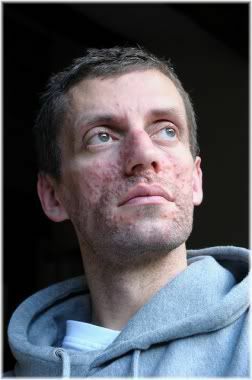 It has been suggested that in people with rosacea the demodex mite grows out of control, which then results in the characteristic redness that is associated with rosacea skin. Why the mite grows out of control, however, remains unknown, although genetics are likely to play a large role. Evidence for this is supported by the fact that people who use skincare products which kill the demodex mites, generally see a significant reduction in the severity of their rosacea. Another possible cause for rosacea is that it occurs because of a gastrointestinal organism (Helicobacter pylori (H. pylori) bacteria) which triggers an autoimmune reaction that causes the body to attack itself. Conflicting results from different studies leaves the link between rosacea and H. pylori bacteria unclear. Some studies have found that people with rosacea have significantly higher infection rates with H. pylori, however, other studies have found there to be no difference. 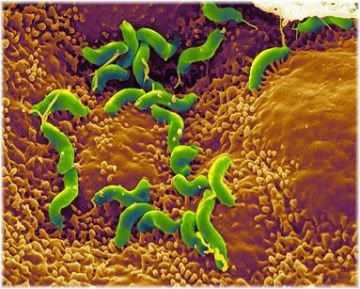 So at present, there is no conclusive research to support the view that H. pylori causes rosacea. It should be noted though, there are studies that have found that patients treated with antibiotics for H. pylori showed an improvement in their condition, thereby suggesting that H. pylori may indeed be somehow related to the symptoms of rosacea. 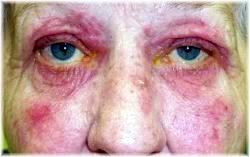 Blood vessel dilation leads to the characteristic redness of rosacea. Blood vessels can dilate or constrict to regulate body temperature. It has been proposed that in people with rosacea their blood vessels dilate too easily as a result of their genetic make up, which may then cause a premature loss of blood vessel elasticity. This would subsequently increase one’s likelihood of experiencing flushes thereby increasing their risk of developing rosacea. If this is the case, one may be able to greatly slow down the progression of their rosacea, and the symptoms they experience, by taking nutritional supplements that help to maintain the walls of the blood vessels. This would include vitamin C, proline and lysine supplements. Adverse reactions to ingredients in skin care products can cause the skin to become red and inflamed. In some people, the chemical ingredients found in beauty and cosmetic products may result in an adverse skin reaction that leads to an autoimmune response. If true, this would be most likely to occur in those with sensitive skin types, as such skins can react badly if the wrong products are used on them. Eating an unhealthy diet may trigger rosacea and make it worse over time. Foods containing sugar and white flour increase levels of prostaglandin D2 in the skin. This prostaglandin is involved in many allergic conditions, and is what is responsible for making the skin look red and feel itchy during a niacin flush. As a result, diet is likely to play a significant role in initiating rosacea and causing it to become more severe over time. Although we do not know the exact cause of rosacea, it is known that certain things can act as triggers and aggravate rosacea making it worse. Being aware of such things can therefore help you to manage the symptoms that you are experiencing, and prevent, or slow down, your rosacea from progressing to a further stage and becoming more severe. Below, you will find listed some of the things that are thought to cause pre-existing rosacea conditions to flare up. It is important to note, however, that not everyone will be affected by these triggers as what may affect one person may not necessarily affect another. So these triggers should be viewed more in terms of their potential to worsen rosacea, rather than being things which you should definitely avoid. If your skin gets red very easily you are probably better off not having a bath too often and sticking with a lukewarm shower instead. Raising body temperature will cause your blood vessels to dilate which can then make your face, or other affected bodily areas, appear redder. So be aware of hot showers, hot baths and any form of intense physical exercise, as all of these will result in a raised body temperature. If you do find yourself overheating, try not to cool down too quickly, such as by taking a cold shower, as moving rapidly from a hot to a cold environment, and vice versa, may further aggravate your rosacea. Sun exposure is the most commonly reported trigger of rosacea. 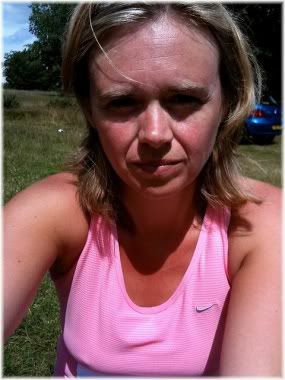 Prolonged sun exposure can result in sunburn and inflammation of the skin which can make your rosacea worse. A simple but effective way to protect yourself against this, is to stay out of the sun during the hottest periods of the day and to wear sunscreen when you know that you will be outdoors for a long time. If you do find yourself sunburned, try applying aloe vera gel to the affected area for immediate relief. Very cold weather can also make rosacea symptoms worse, especially if you go from a very cold outdoor environment to a warm indoor environment that results in exposure to a sudden change of temperature. Some foods, such as spicy foods, can cause rosacea to flare up by temporarily improving blood circulation within the body. In addition, drinks, such as alcohol, tea, coffee, sodas, and fruit juices containing lemons, limes, grapefruits or oranges, can also cause rosacea to flare up. Furthermore, you may also want to avoid foods that contain a lot of sugar or white flour, as they too could further aggravate your condition by causing inflammation in the body. To help minimize inflammation, consider taking turmeric (curcumin) supplements on a daily basis. People with rosacea have to be extra careful when around certain types of food. Some dermatologists also recommend going on a low histamine diet to minimize the inflammatory response that histamine rich foods can cause. Foods that are naturally rich in histamine include: sauerkraut, tofu, parmesan cheese, beer, sausage, blue cheese, red wine, eggplant, tomato ketchup and canned fish. There are also foods which are naturally low in histamine but cause histamine to be released from immune cells known as mast cells. These foods are: nuts, pineapple, shellfish, egg white, strawberry, peanut, spinach, chocolate, banana and tomato. Pay close attention to how your body reacts to what you eat as you may react differently to others. However, it is important to note that what foods your rosacea reacts to largely depends on your unique condition. 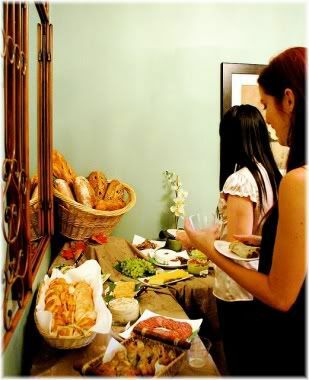 So pay attention to your face and see how you react after eating different types of meals. If your skin is left feeling irritated after shaving switch to an electric razor instead. 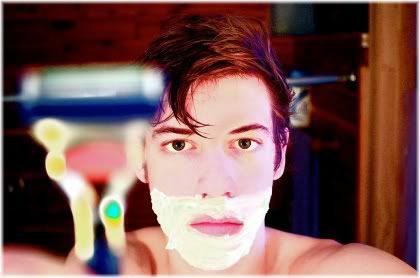 If you are a male who suffers from rosacea, you may want to try shaving with an electric razor rather than a blade. This will cause less irritation to your already sensitive skin, thereby minimizing the chance of a flare up occurring. 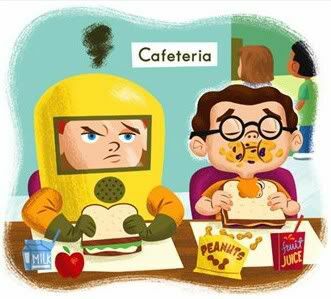 There are many different chemicals in the products we use, some of which we can react badly to. Be very careful about what you put on your skin as you are likely to react badly to anything containing a scent or fragrance. Ideally, look for products that contain as few ingredients as possible or use natural ingredients rather than synthetic versions. The interaction between your genes and the things in your environment (e.g., diet & lifestyle) will determine how severe your rosacea becomes. You are more likely to get rosacea if one of your parents has it, and the severity of their symptoms will give you a good indication as to the severity of symptoms that you may experience. It is not known, however, which genes are responsible for causing rosacea. 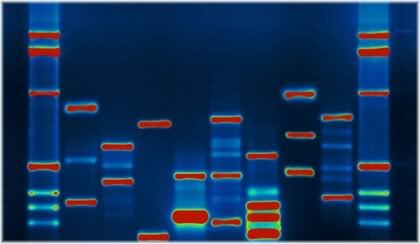 If this is discovered sometime in the future, then it may be possible to treat rosacea using some form of gene therapy. Writing down the things that you react badly to can help you to quickly identify the things that you should avoid. Whilst there is no cure for rosacea, it is possible to keep it under control by ensuring that you care for your skin. One of the best ways to do this, is to see how it reacts to the things you eat, drink and do throughout the day. 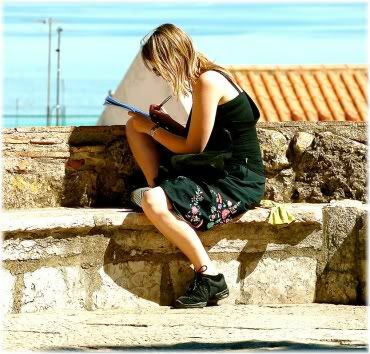 By keeping a journal you will quickly be able to learn what you can and can’t do, thereby allowing you to avoid doing the things that will make your condition worse and so make it easier for you to keep it successfully under control. Whilst there may not exist an outright cure for rosacea, there do exist many effective treatments that can help to manage symptoms and stop or slow down the rate at which it progresses. Some of the most common treatments that are prescribed for rosacea are listed below. Topical rosacea treatments include any type of medication that is applied directly to the surface of the skin with the aim of reducing inflammation and the redness it causes. The advantage of using topical medications is that they can be applied locally to affected areas, which will subsequently minimize the potential side effects that a person receives. 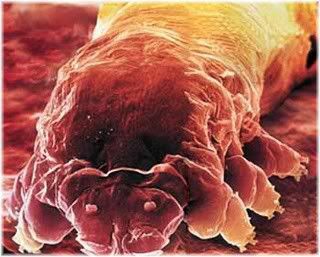 The demodex mite has been linked to rosacea because people who use antibiotics, such as metronidazole, experience an improvement in their condition. Metronidazole is a topical antibiotic which kills the Demodex folliculorum mite making it effective for treating pustular and papular rosacea symptoms. It is thought to be a good long-term alternative to oral tetracycline when used twice a day. It is beneficial for reducing redness (erythema) and rosacea lesions, although in some people it can increase flushing due to a hypersensitivity reaction and cause burning which may then prevent long-term usage. Metronidazole should not be used by pregnant women as it may harm the developing fetus. Using medications designed to treat acne is probably not the best thing to use on rosacea skin. 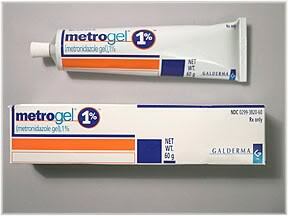 Benzoyl peroxide can come in a cream or gel form and is a commonly used acne medication. When used for rosacea, it can help to reduce redness and lesions, although it carries the risk of overly drying the skin and causing skin irritation which could potentially make symptoms worse. Azelaic acid can be used to treat rosacea when it begins to resemble acne. Azelaic acid reduces skin inflammation and redness, and may also help to control the growth of the Demodex folliculorum mite. It has been shown to be more effective than metronidazole in treating rosacea. Side effects can include burning, itching and redness of the treated area, and in severe cases, an allergic reaction may result in irritation, peeling or inflammation of the skin. 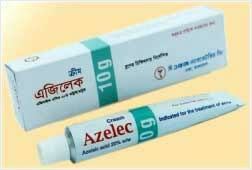 Azelaic acid is also used as an acne treatment and as a treatment for hair loss. Oral rosacea medications come in a tablet or capsule form which makes them convenient to take. However, because they are taken orally, they also result in systemic or system wide effects which increases the risk of side effects occurring. For this reason, oral treatments are usually only given as a last resort when other treatments have proved to be ineffective. 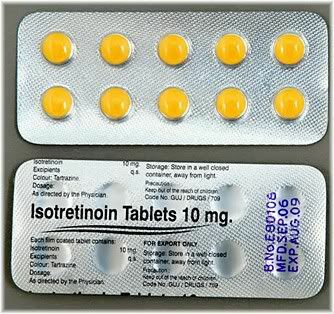 Isotretinoin should only be used as a last resort treatment due to the serious side-effects that it can cause. Isotretinoin reduces the amount of oil produced by the sebaceous glands of the skin, which can make it effective for controlling the outbreak of papules and pustules that resemble acne outbreaks. 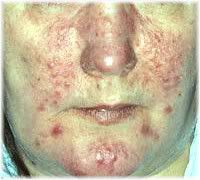 It may, however, result in an increased reddening of the skin, so not everyone advises the use of Isotretinoin as a treatment for rosacea. As this is a very powerful drug, it is generally only used for very severe cases of rosacea as it can have some very serious side effects such as depression, inflammation of the bowel (inflammatory bowel disease (IBS) ) and hepatitis (inflammation of the liver). Antibiotics, such as doxycycline, can be effective when used on a short-term basis. 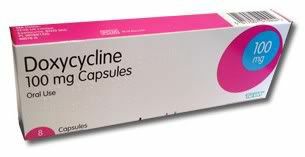 Doxycycline is an oral antibiotic that has anti-inflammatory effects within the body and is effective at treating papulopustular and ocular rosacea symptoms. 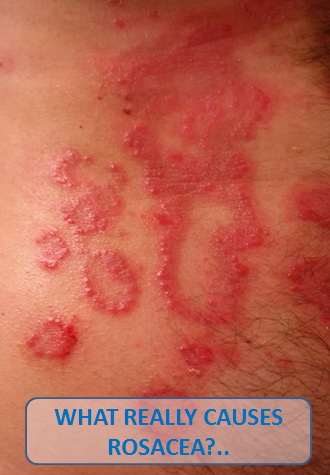 Although it is faster acting than topical antibiotics, long-term usage can result in thinning and increased sensitivity of the skin making it more vulnerable to being damaged by the sun (drug-induced photosensitivity) or developing allergic reactions which could then cause ones rosacea to rapidly get worse. Doxycycline, and other oral antibiotics such as erythromycin, tetracycline and minocycline, are usually only prescribed on a short-term basis for a period that does not exceed one year. Eye drops can help to alleviate some of the symptoms of ocular rosacea, but will do nothing to improve skin discoloration. 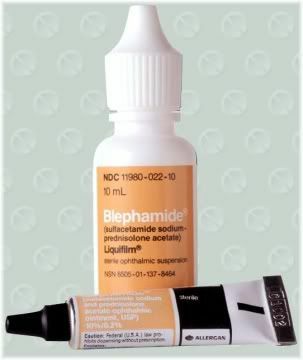 Blephamide is a steroid eye drop treatment that is mainly used for alleviating the symptoms of ocular rosacea such as dry eyes and itching. Non surgical treatments are non invasive forms of surgery that treat localized areas of the skin. Because no drugs are used, the risk of side effects can be greatly minimized, although some side effects will invariably still occur. Non surgical rosacea treatments will usually require several sessions before maximum effectiveness is reached, and they are generally much more expensive than either the topical or oral medications previously described. Laser treatment for rosacea, also known as laser therapy or light therapy, uses a special pulsating wavelength of light to reduce redness of the skin and the visibility of blood vessels near the surface of the skin (telangiectasia) via vascular constriction. It can also be used a treatment for psoriasis and acne. The procedure itself is relatively painless, and the noise the laser machine makes is often more intimidating than the actual treatment itself. Laser treatment feels similar to someone flicking an elastic band on your skin, but does not require an anesthetic. Immediately following treatment, the skin will be tender, red and sore for the first few days, but this will quickly heal as the skin develops a surface crusting that will eventually fall off. Some disadvantages to using laser treatment for rosacea is that it can be quite expensive, it is not a permanent solution and also increases your skin’s sensitivity to the sun. Surgical treatments are invasive forms of surgery that are used for very severe forms of rosacea that cannot be effectively treated with other forms of treatment. Plastic surgery, for example, can be performed on those with rhinophyma to restore normal functioning and appearance to the nose. Before and after surgery to correct rhinophyma. Depending on the amount of skin that needs to be removed, there may be visible scarring after surgery, although your plastic surgeon will do their best to minimize the eventually scarring that results. If scarring is an issue post surgery, you may be able to treat those scars with laser skin resurfacing treatment. Rosacea can be a very tricky skin condition to look after. The main reason for this is that the skin care treatments which are normally effective at dealing with breakouts or with acne don’t usually work for rosacea. In addition, if you use the wrong skincare product you could make your symptoms worse and more difficult to control, so you can’t just put anything on your face and hope that it will work the same as it does on non rosacea skin. People with rosacea are more at risk of suffering from adverse reactions to the products they use on their skin. As a result, people who have rosacea must follow a skin care routine that specifically addresses their condition, and this is what we shall be looking at in the remainder of this article. 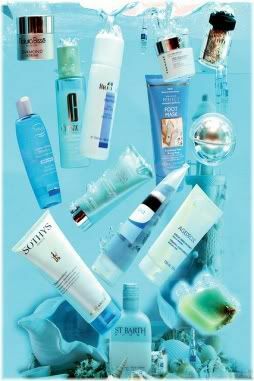 As skin care products become more advanced, so does their effectiveness. Fortunately, there are now many products on the market which are very effective at treating rosacea type skin. However, what works for you will largely depend on your unique skin type and condition. So be prepared to experiment with lots of different rosacea skin care products until you find something that works well for you. A good place to start is with products containing tea tree oil, carraway oil or dill weed oil, as these natural ingredients have been shown to kill the demodex mite when used undiluted. 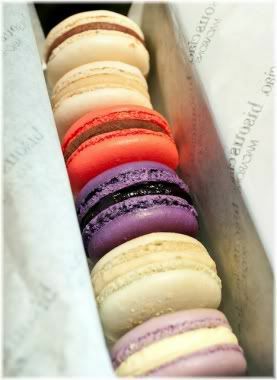 They are also available without a prescription which makes them easy to obtain. 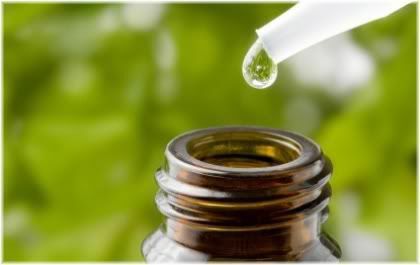 Scientific studies have found tea tree oil to be one of the few natural substances that can kill the demodex mite. Before trying any product, however, you should always do a small test patch on your skin for at least three days before you apply that product to the rest of your face. This will allow you to determine if you have any allergic reaction to a product, and thereby prevent you from irritating the skin on the whole of your face and possibly making your rosacea worse. Rosacea skin needs a bit more tender loving care than other skin types. Rosacea skin needs to be cleansed, toned and moisturized twice a day just like other skin types. 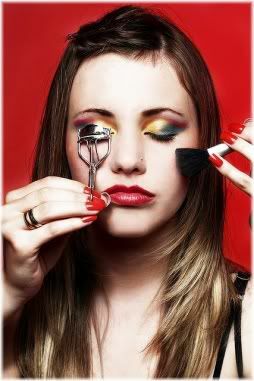 The difference, however, is that you need to be careful how you do this so as not to aggravate your skin. Below are some tips for each of the three main skin care routine stages. For a toner, choose one that contains humectants to lock moisture into your skin and one that doesn’t contain alcohol so that your skin doesn’t dry out. Lotion based soap free cleansers are generally a better choice than gel based cleaners, as they are much gentler on the skin and so are less likely to disturb it. Salicylic acid cleansers are best avoided also, as they will usually be much too harsh for your skin. If you find yourself reacting badly after cleansing twice a day, then you may want to try using a different product or only cleansing once a day. For your moisturizer, choose a light tinted moisturizing lotion and try to get one that is fragrance free as there is a good chance that the fragrances will irritate your skin. 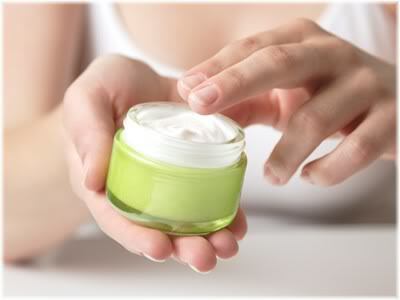 You may want to try using a natural oil based moisturizer such as emu oil or coconut oil and see how your skin reacts. The idea is to use skin care products that contain as few ingredients as possible and/or are natural, because rosacea skin can become easily irritated by using the wrong product which then makes the redness on your face worse. Just as you took the gentle approach when cleansing and moisturizing your face, you should follow a similar principle when exfoliating your face. Avoid strong exfoliants such as chemical exfoliants which contain glycolic acid. You should also avoid exfoliants which are too stimulating for the skin such as facial scrubs containing nut shells or enzymes. A good way to exfoliate rosacea skin is with an oatmeal mask, as this will gently remove dead skin cells without over exfoliating your skin and causing inflammation. 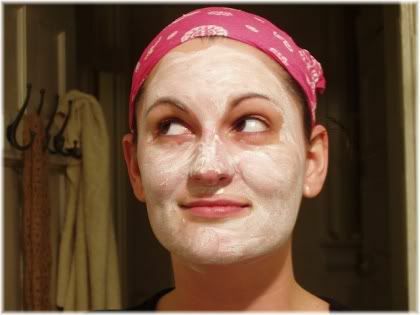 Use a gentle exfoliant, such as a honey and oatmeal mask, to avoid irritating and inflaming your skin. You may also want to try adding anti-inflammatory ingredients with your exfoliating mask such as aloe vera gel and non-allergenic ingredients such as allantoin, as this will further minimize the risk of adverse skin reactions while you are exfoliating. For most people, exfoliating the face two or three times a week should be plenty and can be done quite safely without adversely affecting the health of the skin. You should, however, pay close attention to how your skin reacts when you exfoliate, as you may need to reduce the amount of times that you exfoliate to one or two times a week if you notice that your facial redness is getting worse. Don’t ignore your rosacea just because you can cover it up with make up, as if it starts to get worse it will be a lot more difficult to conceal. Early stages of rosacea can be quite effectively covered up with makeup. You may be able to get away with using only foundation, but you will probably require the use of a concealer to fully cover up your redness. 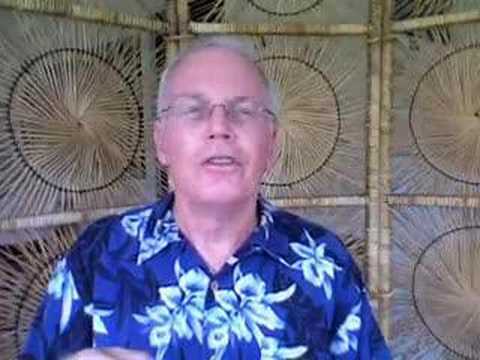 The following video shows how to cover up rosacea with makeup. If you are suffering from ocular rosacea, be sure to also wear sunglasses when you are outside to protect your eyes from the sun. The rosacea skin care advice given above are guidelines only, and you won’t know exactly how your skin will react to a particular skin care product until you try it. This is why it is important to do a skin test patch first for at least three days, because if you use the wrong product on your face, you could make your rosacea a lot worse. 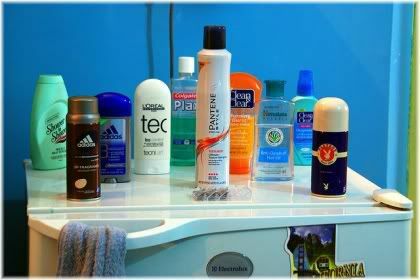 You will probably have to experiment with many different products before you find something that works well for you. Your safest choice is to use skin care products or cosmetics specifically designed for rosacea, as these will be most suited to your skin type and are the least likely to give you problems. If you can’t find rosacea skin care products or rosacea cosmetics, you can still use regular products, but just be aware that some of the ingredients in them may not agree with your skin.